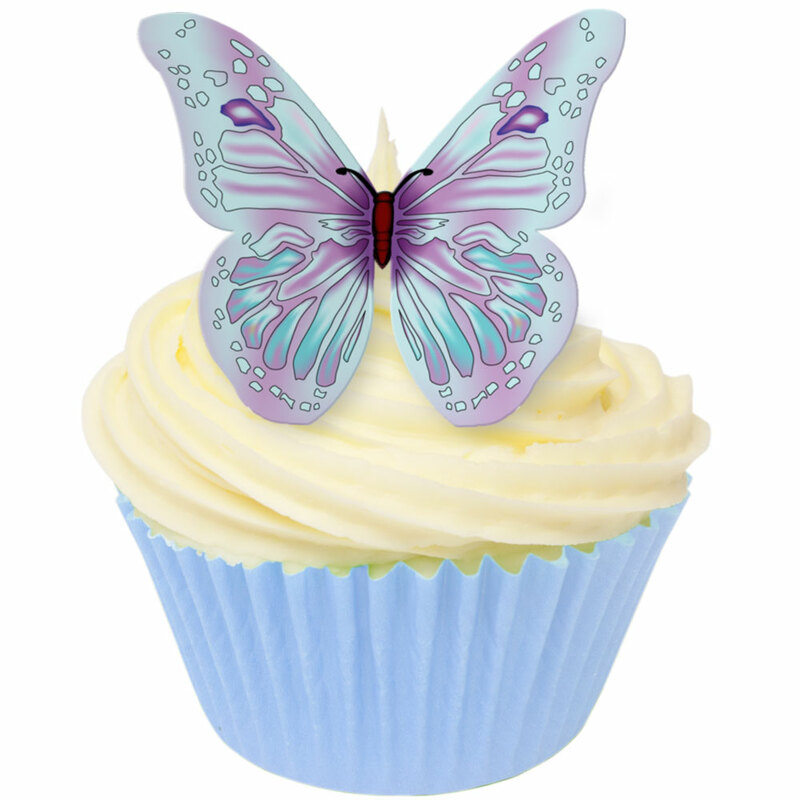 Each pack has 12 edible wafer butterfly decorations in beautiful packaging. The mix of colours in this edible butterfly decoration makes it look a true tropical treat. This product is crafted from a quality NATURAL edible wafer paper, approximately 0.35mm thick. We only use wafer paper that is sourced and manufactured within the EU. Our wafer paper is made from three simple, natural, ingredients, potato starch, water and olive oil. It is suitable for vegetarians and vegans. Unlike many of our competitors this product comes already perfectly cut out for you to use. Simply pop the decoration out of the packing and hey presto you have a stunning decoration ready to use. We are sure you will be using this product just as soon as you purchase it but if you do want to keep it for some time please keep it in its original unopened packaging at a temperature below 25�C. Do not store in the product in the open air or near any sources of moisture or heat. This is a product manufactured from natural food ingredients and will keep best if stored at a relative humidity between 60-75%. We are experts at producing bespoke edible printed and shaped items on wafer paper / rice paper. We are experienced in supplying custom-built edible decorations to commercial bakeries both here in the UK and abroad. CDA is a leading brand of retail packed Edible Decorations available to the trade for sales in shops or websites. We can laser cut and laser engrave both edible products and other materials. We hold the biggest stock of white and coloured edible wafer paper in the UK for sale to both retail & trade customers. Available in A4, A3 & bespoke sizes. We supply edible promotional items from cocktail images to record inserts, from funny faces to emojis and much much more in between. Registered Address: 3 Melbury Workshops, Cann Common, Shaftesbury, SP7 0EB, United Kingdom. We will only interact with you in a way that is subject to our current Terms & Conditions of Business. and if you choose to interact with us in any way it is on the understanding that you accept these Terms & Conditions. The copyright of everything on this site is either held by CDA Products Limited or other parties. YOU MUST NOT COPY ANY IMAGES OR TEXT OR ANY DATA WITHOUT OUR PERMISSION.